"The Impact of Civility "
8-8:45am Registration Main Lobby Big Ten Conference Rm. Kent Sharkey, President & CEO, Ulliance, Inc.
Cindy Estrada, International Union, UAW V.P. We are going through a complete re-building process! 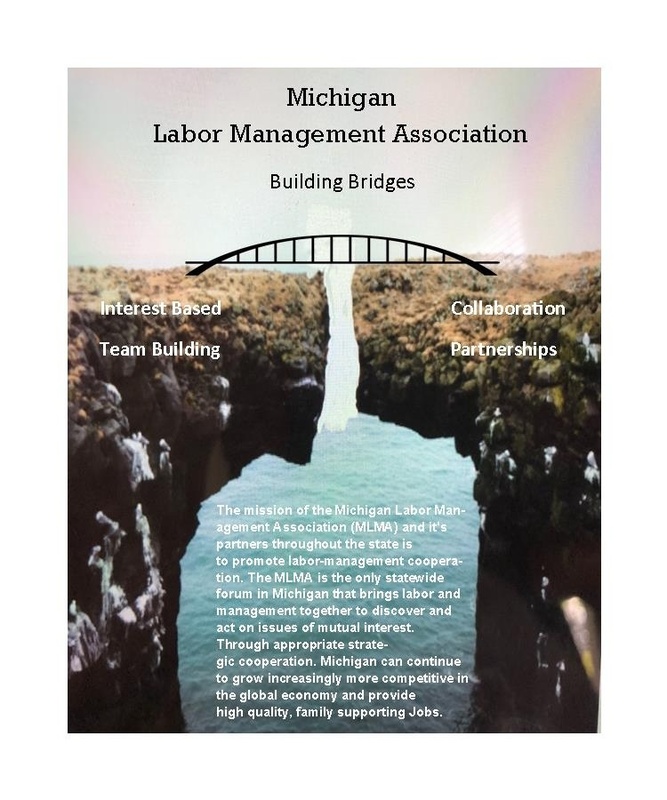 We're looking to expand Michigan's ALMC (Area Labor Management Committees) Currently there are Three ALMC in Michigan Kalamazoo, Muskegon and Upper Peninsula. We are looking for interest in the following areas, Oakland, Wayne, Macomb, and Genesee Counties. If your interested in starting up a Labor Management Committee in one of these areas we will provide some training opportunities to help reach your goals. We have many trainers in the Labor Management field and Mike and I are willing to come by and talk about the start up of these committees.